Are you feeling less engaged, less committed and more skeptical at work? Do you find yourself isolated? Or are you caught in the middle of co-workers’ interpersonal conflicts? If so, you may be experiencing the confidence-busting, commitment-breaking, energy-draining patterns consistent with broken trust. We’ve all been there, but few of us know how to rebuild that trust. 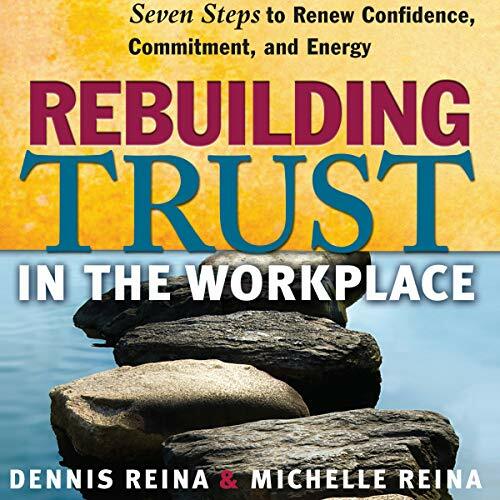 Dennis and Michelle Reina have spent their careers researching and measuring workplace trust. In this sequel to their award-winning Trust and Betrayal in the Workplace, they offer everyone involved a proven process for healing: the person hurt, the person who hurt someone else, and the person wanting to help others. No matter your vantage point, this compassionate, practical audiobook will help you reframe the experience, take responsibility, let go, and move on. The result? You’ll feel more energized and once again give your organization your best thinking, highest intention, and greatest productivity.